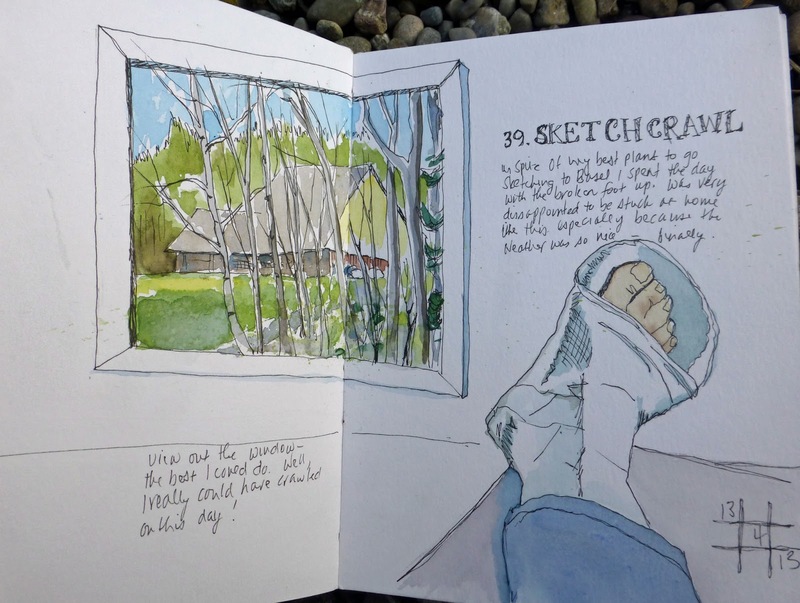 Urban Sketchers Switzerland: Sketchcrawl of a different kind! Sketchcrawl of a different kind! I 'm looking forward to seeing everyone else's sketches as finally today we had a little bit of sunshine! Next time I'll definitely be out drawing! I am impressed as I see nothing can keep you away from sketching! Beautiful view from your home and Gueti Besserig! Gute Besserung Maria, and there will be a next time soon, I am sure! Heard the bad news from André. I hope you recover soon! Oje! Auch von mir eine rasche Genesung!